Similarly pleasing to the square roof lantern, the octagonal shape offers an alternative and exciting design solution for use over an otherwise dark space such an inner hall or stairwell. 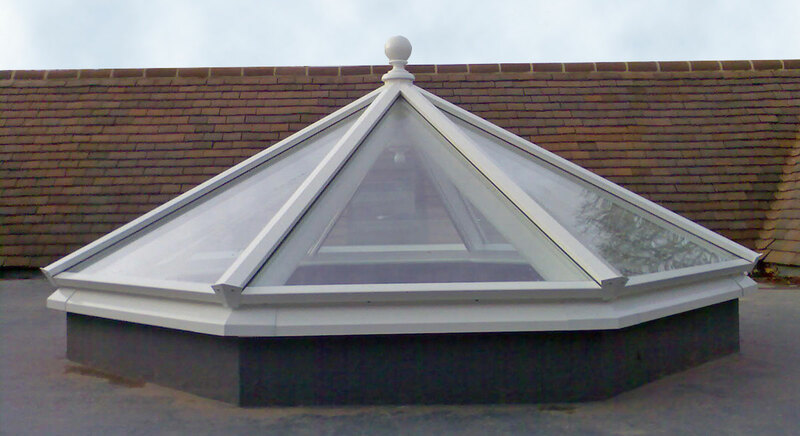 In addition, an octagonal roof lantern enhanced with an internal circular cill creates the impression of a genuinely domed structure from inside. This stunning octagonal roof lantern adds interest and drama to what would have been an ordinary stairwell. It is built in timber and aluminium using the 'Classic' profiles and mouldings..